HomeShopBible StudyDaughter, Where’s Your Crown? 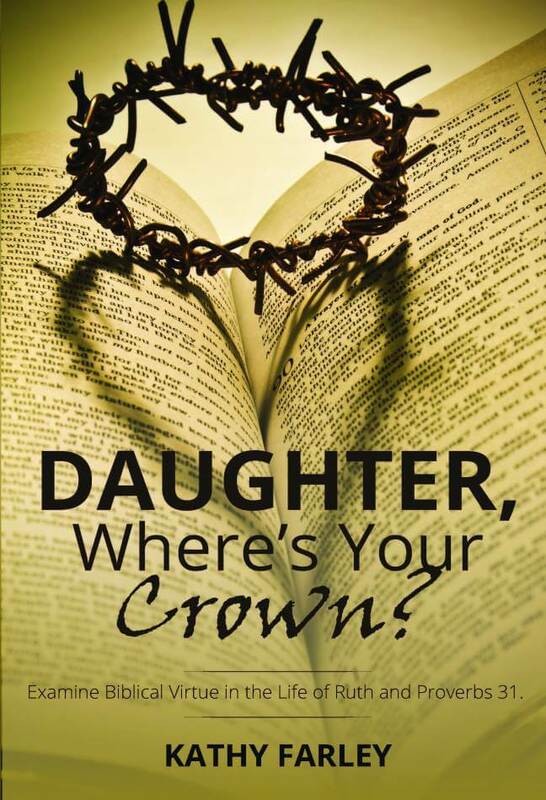 Home / Shop / Spiritual Growth / Daughter, Where’s Your Crown? As wives, mothers, caretakers and breadwinners, women face a unique set of challenges. Have you found yourself struggling with not feeling “good enough”? Has pressure of trying to do the “right thing” ever left you feeling overwhelmed and discouraged? Daughter, Where’s Your Crown? will help you meet these challenges head-on. This study is a reminder to women that God provides His Word to be used for guidance in daily living, and that He created you not to just survive, but to thrive. It offers suggested Bible readings, influential examples of women who kept their eyes on God even in problem-filled times and thought-provoking questions to lead you into a meaningful examination of your own life and relationship with God. 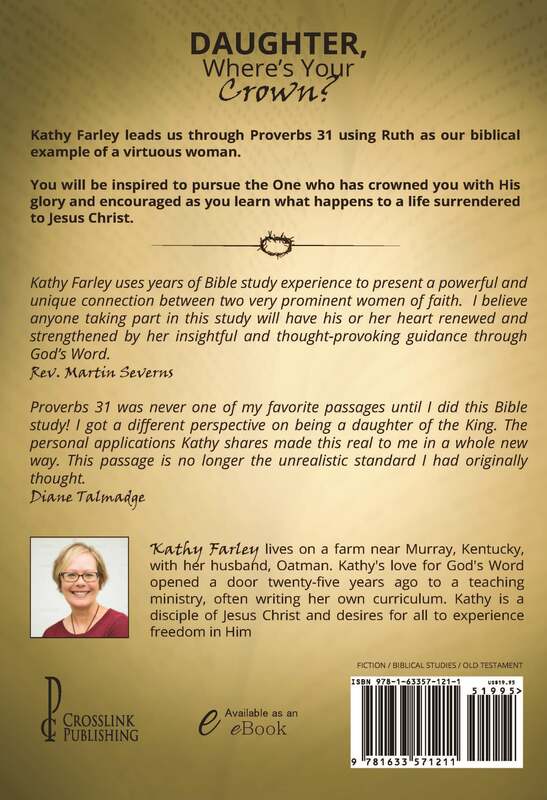 Study author Kathy Farley walks you through how loving God and being obedient to His Word will naturally produce in you the attributes of a virtuous woman, as described in Proverbs 31. Kathy uses the life of Ruth as a biblical example and shares insights from King Lemuel’s mother in Proverbs 31 and the book of Ruth to encourage and inspire you to seek the One who is making you into the woman He created you to be.